Everybody in business today wants to be the best. That’s fairly natural, isn’t it? Who doesn’t? Even so, there are front runners in the market who outplay their competitors. There are ample reasons that can be attributed for their success; one of them is redesigning. Yes, this might seem as a bit of an over-statement, and let’s not get ahead too much and jump to conclusions. Heraclitus told us,”The Only Thing That Is Constant Is Change.” This quote is certainly practiced and followed by millions of brands today. A considerable period of time is consumed in making and building a brand image, and sustaining its hold over the market. There are multiple factors that affect the market presence of a brand. Redesigning is one such factor that boosts the impetus of your brand. A website speaks volumes about a brand. The fastest and the most powerful way of marketing today is through social media. So now we ask the question, does redesigning revamp your brand? Web redesigning if utilized properly can do wonders for your brand. A website reflects the persona of your brand. When a consumer lands on the webpage of your brand, you expect the consumer to stick on the website long enough, possibly to buy your product or opt for your services. If the outlook of your website is not captivating enough, you are at a loss of potential customers. A brand quality will always matter. People will always talk about the results. There are a number of potential brands today, which lose out because of poor marketing techniques, which involve a website. Even social media, being the largest platform today for digital marketing, will not suffice if your brand does not have an equivalent eye-catching website design. To give you an example at the most macroscopic level, picture a room that you visit on a daily basis. Now this room will have all the objects in a particular place and position. Our eyes become mechanically trained to find those things. Now, one day the things are rearranged and the room is painted to a different color. The moment you enter the room you admire it in a different way. Though, those things are the same, you’ll explore them. This exactly happens to a brand. 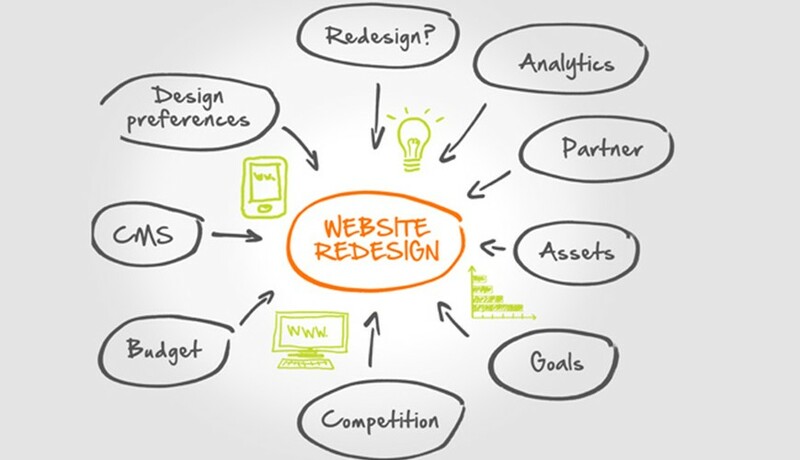 Redesigning the website to make it more user-friendly, interactive, and attractive will polish the brand. A fresh outlook for the brand makes the consumer think about the changes the brand has brought about to its quality structure. Websites that use conventional designing pattern are almost invisible to search engines. A complete redesigning of the website will not only involve the graphical aspects, but also the technical aspects to make it SEO-friendly. This gradually will increase the traffic to your website, and generate sales. Consumers find it easy to relate to a brand by just visiting the website. What if people do not like what they see? A consumer will always look forward for the quality and the feasible aspects of the product. The visual impact of a website will make the consumer browse through, par the homepage. Web redesigning will certainly help you lift your brand from one level to the next. Revamping your brand involves many other aspects, as well. Redesigning will certainly help you in rebuilding a new brand image.